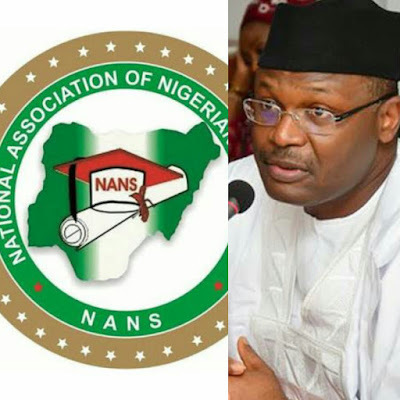 The National Association of Nigerian Students (NANS) has urged the Independent National Electoral Commission (INEC) to issue certificate of return to Sen. Isiaka Adeleke of the People’s Democratic Party (PDP). Mr Adeyemi Azeez, National Public Relations Officer (PRO) of the association made the call in a statement on Wednesday, in Abuja. According to Azeez, as a body which respects the rule of law, NANS stands by the ruling of the tribunal which declared Adeleke as winner of the Osun 2018 gubernatorial election. The ruling on March 22, was read by Justice Peter Obi, on behalf of the three-man tribunal. The tribunal voided the election of Gov. Gboyega Oyetola of the All Progressives Congress (APC) and declared Adeleke as winner. The PRO also distanced itself from the purported protest by some self-acclaimed student leaders against the ruling of the Tribunal. “We believe that the intellectual component of the youth demography and media are the major catalyst of development anywhere in the globe. “The leadership of NANS wishes to use this opportunity to re-instate our earlier position on the verdict of the Osun State Governorship Election Petition Tribunal. “This is mandating INEC to issue certificate of return to Sen. Isiaka Adeleke, the candidate of the PDP as the duly elected Governor of Osun State, having polled the highest number of votes during the Sept. 18, 2018 Governorship Election in the state. “In the same vein, I wish to use this opportunity to state categorically that the leadership of NANS is not part of the sponsored protest organised by some self-acclaimed student leaders against the ruling of the tribunal. Azeez further called on the political class to desist from dragging the name of NANS into their political games.